A cloudless sky blesses the quest for adventure. A Northern army seeks warriors to aide a noble cause. Perhaps the role of mercenary or rogue awaits you. Whatever path you choose, the RFB Fighter Greaves completes a solid defense. 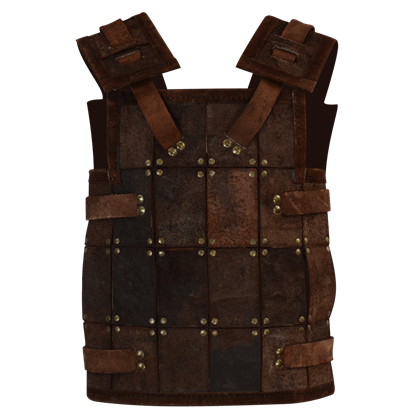 Two adjustable buckle straps in the back allow a secure and comfortable fit over padding. 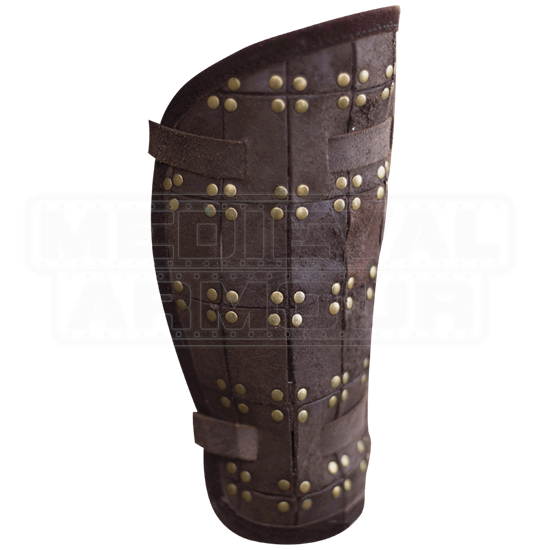 The straps weave through the front to the back of the greaves. Rectangular chrome-tanned leather pieces are riveted to soft split-leather increasing the look and defense of the front segment. 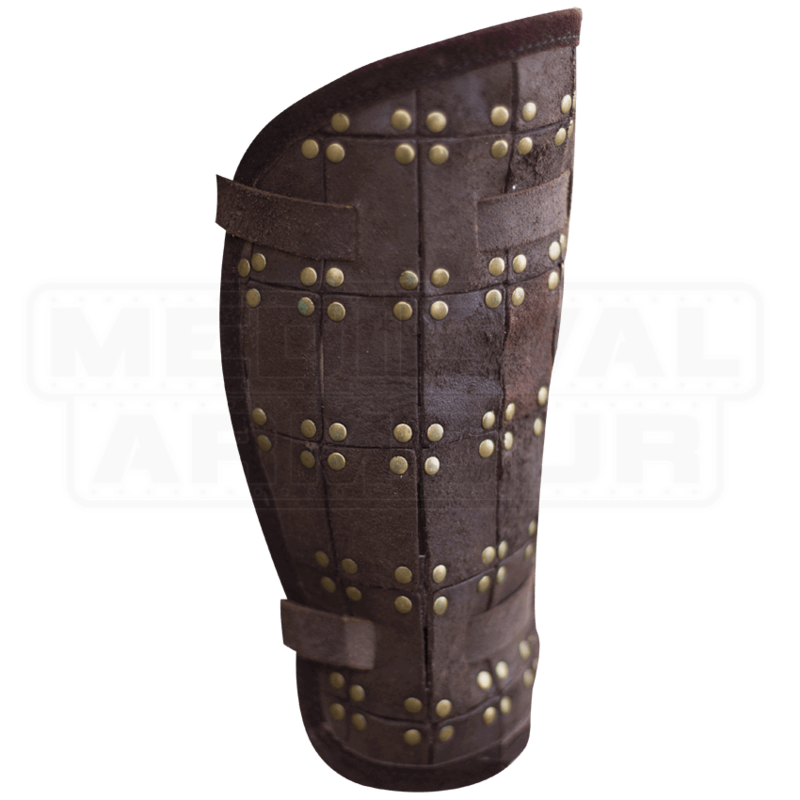 The RFB Fighter Greaves go well with the RFB Fighter Bracers and RFB Fighter Leather Armour.